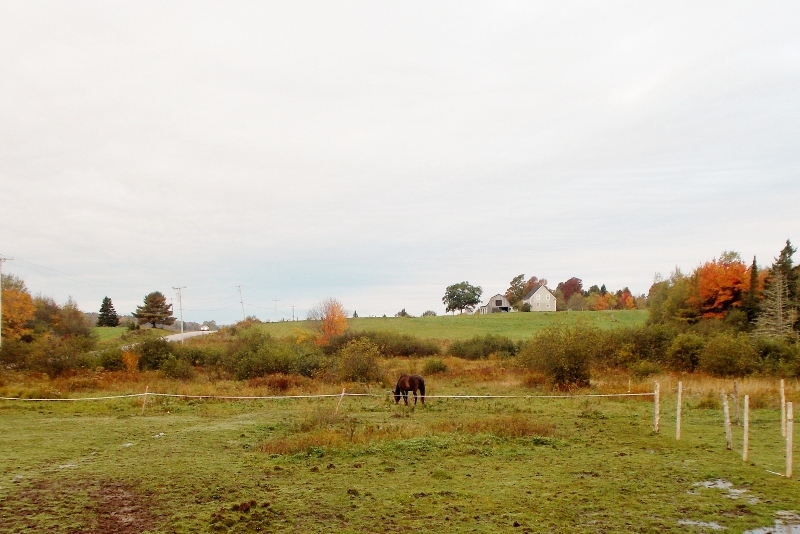 Lally Broch Farm: A Maine Family Homestead: HOW??? This was the scene Sean and I found at 7 am this morning. 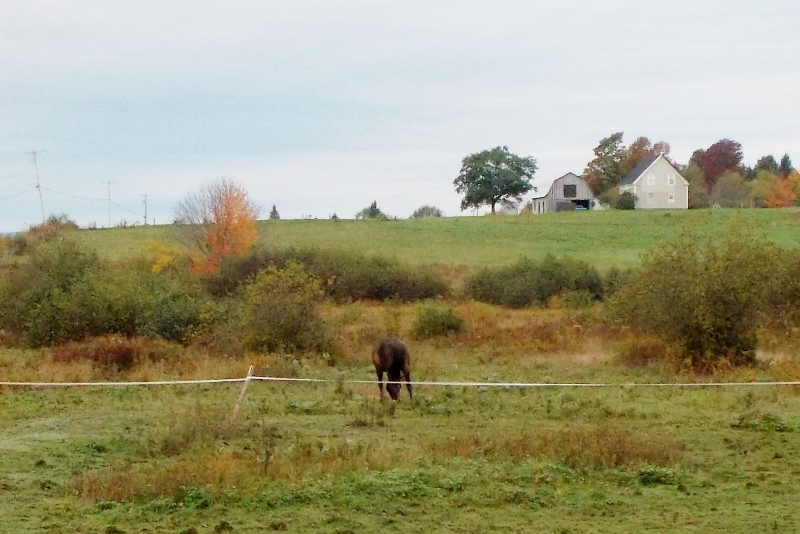 If you look closely, you will notice Jasmine munching greens in the field... on the wrong side of her fence. What's more, the fencing wire is not down. Anywhere. So, either she had an accomplice to lower the fence and hold it for her while she walked over it, or she managed to hold it down and walk over it herself simultaneously. Or, perhaps, she perfected her teleportation skills. Sean attempted to coax her back over the fencing with some grain and her ration of morning hay, but Jasmine merely stomped back and forth along the fencing unable to get back into her field on her own. 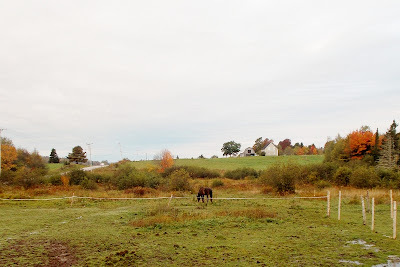 Finally, Sean tromped across the field, heaved out the leaning post and laid it on the ground. Then, he held down the wire with his foot so Jasmine could safely walk over it. Jasmine is clever! I'm thinking she must have had an accomplice. But I guess it will forever remain a mystery! It sure is beautiful up your way. Jasmine has us all wondering. I saw you guys out side when I went by I figured thats what was going on. glad that you guys got her to go back in and that she didnt wonder off somewhere.